Hi, everyone! I’m Heidi, from One Creative Mommy. It’s October! Are you knee-deep in Halloween parties, trick-or-treating and all things spooky? A forever hit in our family is Halloween Bingo. I made my first set 20 years ago when I was student teaching in China, but refreshed it this year with a fun new free printable version of Halloween Bingo that I’m sharing with you! I don’t know what it is about Bingo, but somehow it never gets old (for kids, at least.) As long as they have plenty of treats to use as markers (we prefer smarties or candy corn) my kids can play this game forever! I do get a little tired of calling out the cards after a while, so it’s a good thing that even the youngest children can do it! 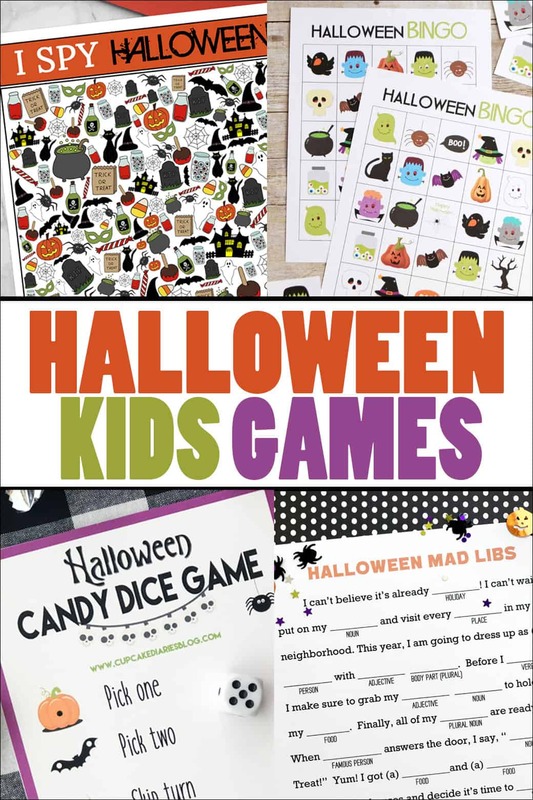 Want a set of Halloween Bingo to play with your family or at a classroom Halloween party? All you need is a color printer and some card stock. Laminating is optional, but I highly recommend it, so you can use the bingo cards year after year! Download a family set by subscribing below to open a PDF file. The printable includes Bingo boards and calling cards. Cut out the calling cards, mix them up, and choose them one by one to call the game. We’ve been using this bingo set for Halloween class parties for years. If you’d like a set of thirty, click the link below to head over to the One Creative Mommy etsy shop to download the full set. I’m not sure why (maybe because I like dressing up), but Halloween is one of my favorite holidays. Be sure to stop by for lots of great ideas. See you next time! And if you love bingo, check out all of our free printable bingo cards! These cards are so useful in my french class! My students love them! Oh my goodness I am so glad! Thanks for letting us know Tracy!! Is there a callers card? Or should you print an extra and cut? These are so cutie Heidi! I love them! Thanks so much, Pam! My kids are kind of addicted to Bingo!